Whether you simply want to resurface your existing cabinets or do a total kitchen makeover, it’s important to focus on the big picture. People always tend to congregate in the kitchen and it’s commonly considered to be the heart of every home. So what’s important to you in your kitchen makeover? What elements do you currently love? Which do you hate? How do you need your new kitchen to fit into your lifestyle? 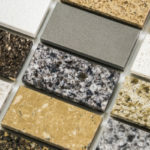 By answering these questions you will be able to determine the exact type of materials and design elements your new dream kitchen will, and won’t, need. Follow the kitchen renovation tips below and you will save time, money and a whole lot of frustration in the future. Although the kitchens in magazines are often breathtakingly beautiful, they aren’t very functional for everyday use. 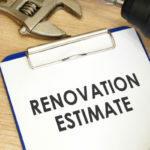 The average kitchen renovation should last you up to 15 years, so you don’t want to outgrow your new kitchen too quickly or for it to feel outdated before its time. Trends often ignore function. Funky lighting looks amazing, but it might not provide an adequate light source. Neon orange cabinets are definitely a bold design statement, but too-trendy colors have a tendency to have a short shelf life. At the same time, you should think long term. What works for you and your lifestyle today may not work in the future. Don’t fall prey to over customization or design gimmicks. Your kitchen is an investment that you want to last, and enjoy, for years to come. People often think that DIY is the cheapest route and the abundance of home makeover shows on TV certainly support this idea. But this is not always true. Certain aspects of the kitchen require professionals with specific expertise. 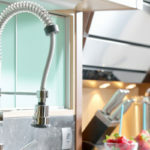 Architects, interior designers, kitchen designers and contractors are all professionals with separate, and unique, ideas on what your kitchen can and should do. Make sure to hire skilled (and licensed) professionals when necessary who will who not only understand lead times for your selections but can also analyze your budget to make sure it’s sustainable. 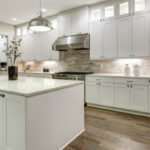 Knowledgeable design professionals can help you make smart, cost-saving decisions when redoing your kitchen, in addition to recommending contractors with good reputations. Renovating a kitchen can often be stressful and exhausting. The choices often seem endless! But don’t fall prey to the temptation of delegating all your decisions to someone else. Ultimately, it’s you who best understands your lifestyle habits. So do your homework. Go out and explore the possibilities. You can do research on the internet, browse showrooms, look at design magazines and even visit family and friends’ homes. Become educated about different materials, fixture options, products and costs. This way you will have valuable, educated opinions when it comes decision-making time and the pressure is on. Take time to evaluate what your needs are for both the short and long term and be prepared to communicate them when the time comes. No one knows what you need, and can afford, better than you!